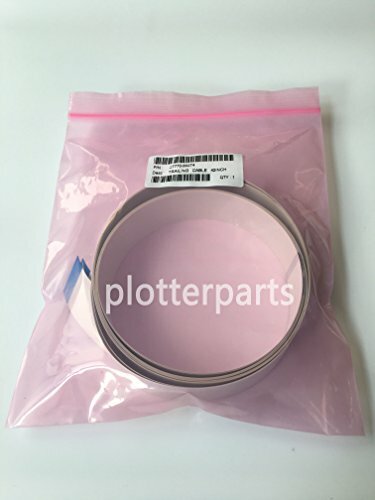 Part number : C7770-60274 C7770-60258 C7770-60147 C7770-60266 The part used in the following DesignJet Models: HP DesignJet 500 C7770B HP DesignJet 500 mono C7770E HP DesignJet 500 Plus C7770F HP DesignJet 510 CH337A HP DesignJet 800 C7780B HP DesignJet 800PS C7780C HP DesignJet 815MFP Q1279A HP DesignJet 820 MFP Q6685A HP DesignJet Copier CC800PS Q1262A Shipping & Handling: • Orders are generally shipped on same day after receiving full payment.(Mon-Sat). • All packages are accompanied with a Tracking number. • We ship to your paypal address, please confirm your address when making payment! • It normally takes about 7-25 business days to arrive fast all countries, if your item does not arrive on time, please contact us to track it for you! Return Policy : • Buyer can return items back to us for a replacement or refund within 30 days after purchasing! • Return items must be in original packing and have no sign of abusing! • Please contact us first if you need to return the item back! Contact Us : • Please contact us first if there is any problem with the item or delivery! • Our Customer Service time is: 9:00- 18:00 of Beijing Time (18:00-03:00 of Pacific Time)!